Similar Balls: Same Hook Potential, Lane Conditions & Coverstock as the Brunswick Kingpin Gold Special Edition. I am really... REALLY impressed by this release of the Kingpin edition of this brand. A pearl ball that hooks a lot, tremendous backend reaction, the most eye-popping pin carry I have ever seen of a strong pearl asymmetric ball, and one of the most smoothest non-deflection coverstocks of its kind in such a performance ball of this type. 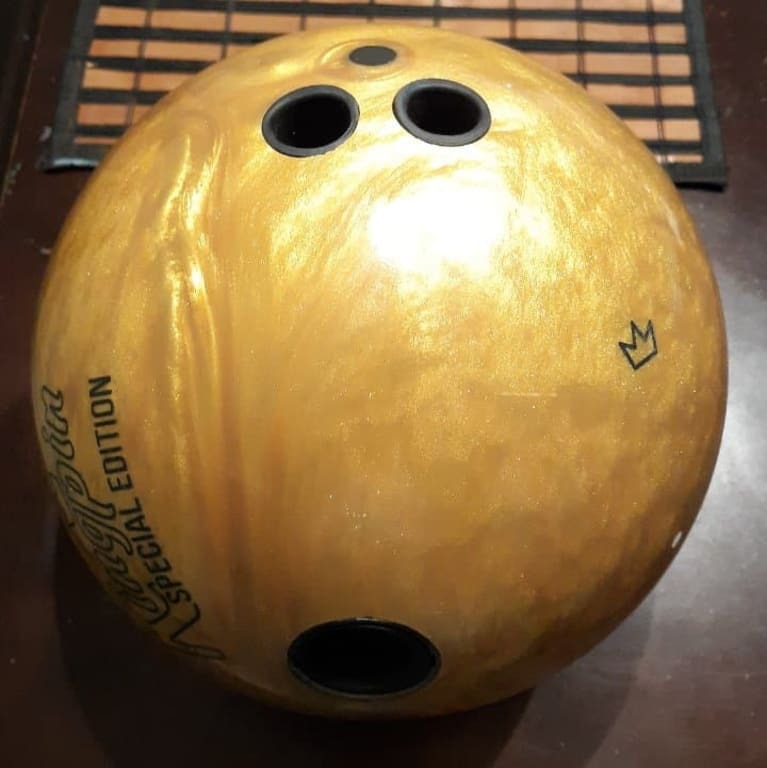 I have used this ball on fresh and wet/dry conditions and this ball can last in league play for a great amount of time, especially in the event the Kingpin Max tends to wear out its playtime in league play. I am enjoying this arsenal greatly and have even used this ball on tougher conditions and more of the same as I would expect with little surface tweaks to match to the pattern. This ball is truly a "Special Edition". Limited run, get one before the run out!! This is the perfect compliment to the Kingpin line. Strong aggressive core with the ECA-X pearl coverstock is a golden combination. Even with the pearl coverstock the Kinpin SE reads the mid-lane exceptionally well. 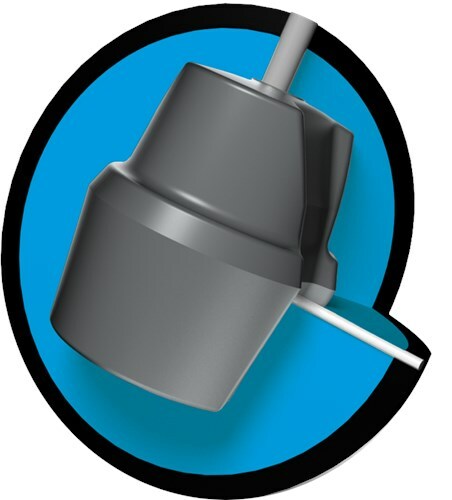 The core delivers a strong, continuous motion. This King Pin definitely out hooks all of the other previous King Pins on the backend of the lane. It is unbelievably clean through the front of the lane and makes a strong flip and backend motion. You will need some friction for this ball as the cover is so clean that on volume or oil down lane it won't read the lane enough. But when there is friction and backend, this ball will out hook most balls on the back of the lane. I am curretnly still throwing a Mastermind Scholar. Would this be a good replacement for the Scholar with the same type of ball reaction? This would be very similar to the Scholar but it will be a little stronger backend hook. 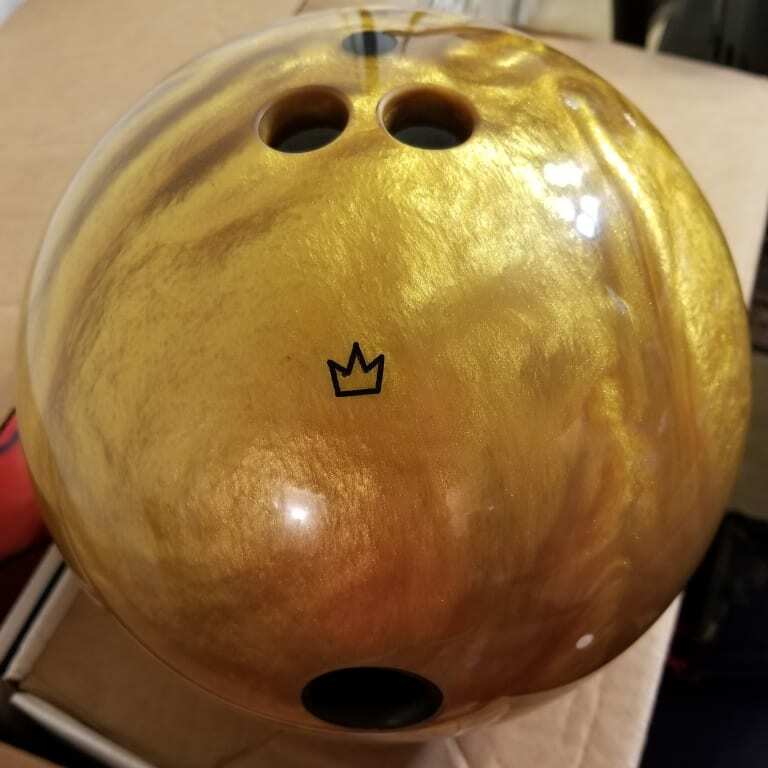 Most of the features have similar numbers with a slight advantage to the Kingpin Gold SE on the finish and weight block to help it be a little stronger. Follow 0n -- I noticed the KingPin Gold Edition is only 14 or 15 lb. I throw 16 lb. Is there another ball you would recommend to replace the Scholar? Possibly a Tenacity? 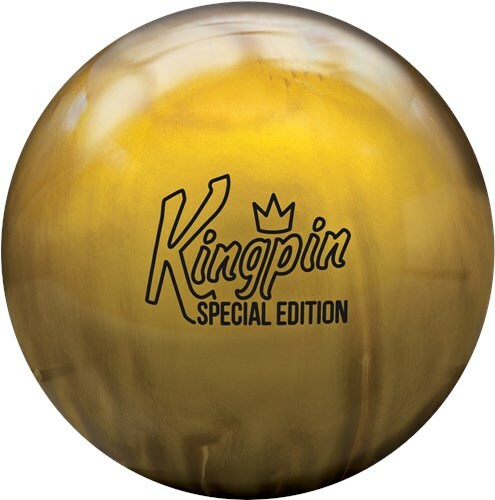 Due to the time it takes to produce the Brunswick Kingpin Gold Special Edition ball it will ship in immediately. We cannot ship this ball outside the United States.